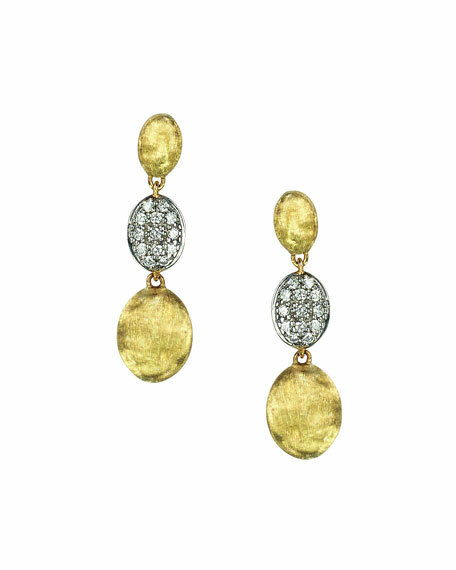 Marco Bicego earrings, from the Siviglia Collection. 18-karat yellow gold with hand-engraved finish. Triple-drop design with pave diamonds.